Mast cells are a part of the immune system and can be found throughout the body. 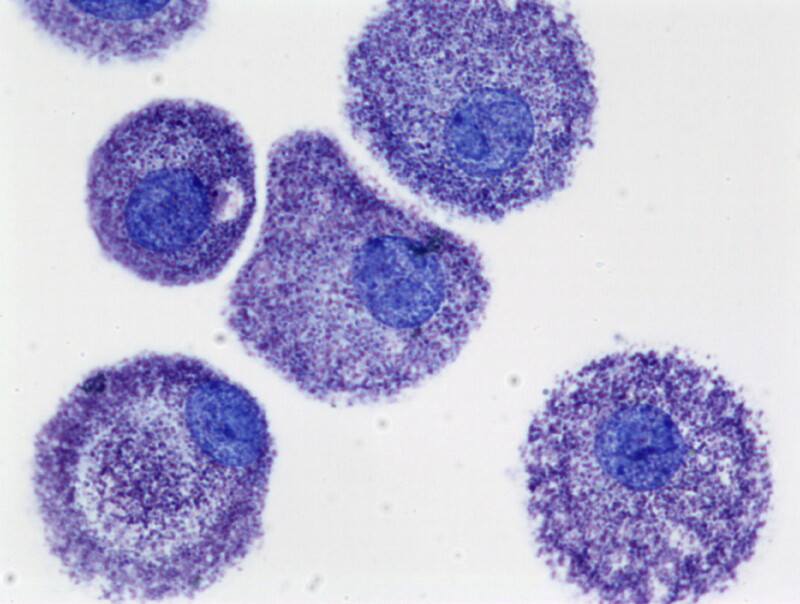 Inside the mast cell are numerous secretory granules containing different chemicals that cause allergies and inflammation. These unique cells control many bodily functions and are important immune regulators and infection fighting cells. However, if we have too many of these covert immune cells and/or they misbehave, severe symptoms and serious disorders can result. When allergens, drugs, toxins, etc. (green & pink spiked shapes) bind to the surface of the mast cell or cross-bridge the IgE antibodies (yellow Y-shaped pairs), the mast cell is triggered releasing histamine, tryptase and other mediators into the body (represented by the release of orange granules) leading to localized or systemic symptoms. 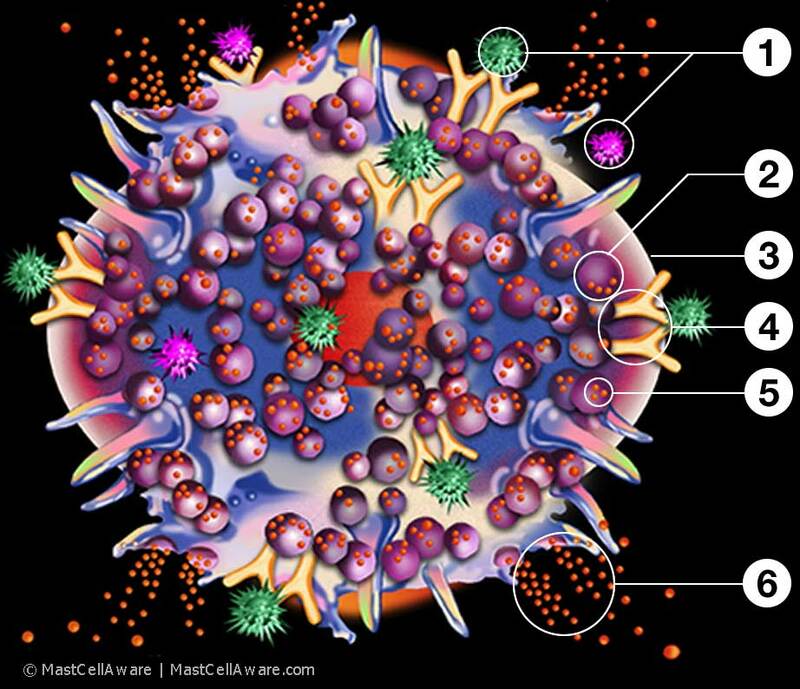 The illustration below is a graphic interpretation of the mast cell in activation and it's main components.